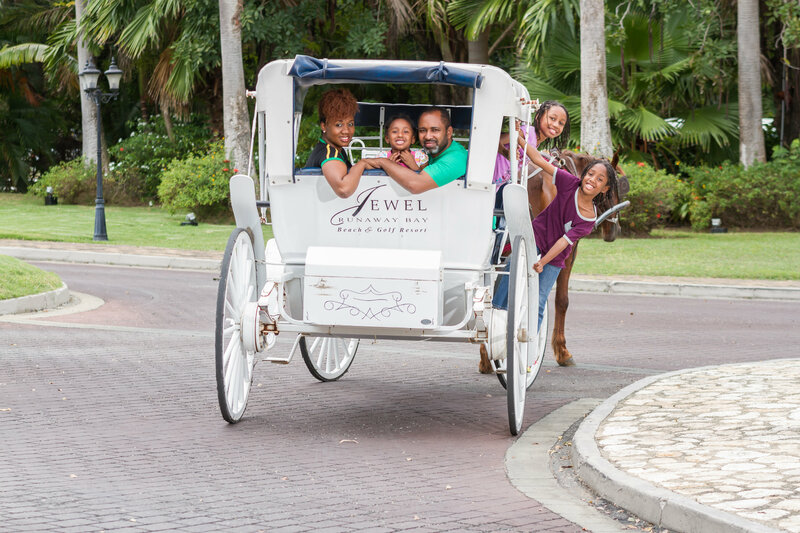 A ‘Fun-tastic’ Summer for the Harris Family at Jewel Resorts! Weeks after we returned from the exceptional Jewel Resorts in Runaway Bay, our family fondly pined and reminisced about the amazing time we had at the beautiful property in St. Ann, Jamaica – the exhilarating water park, relaxing pools and refreshing beach; the delectable cuisines and exciting restaurants that catered to picky eaters like us with diverse tastes and diets. 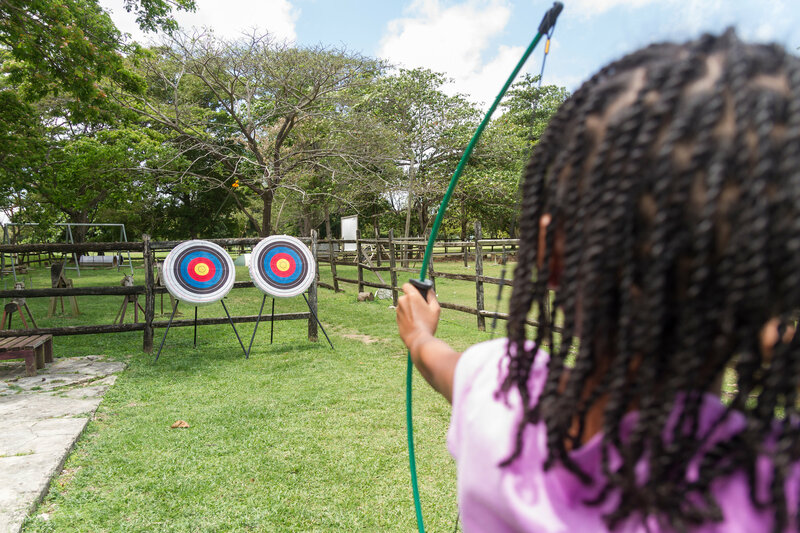 We laughed out loud when we remembered the electrifying game of laser tag and the numerous times Nia—Ashley stealthily hit the bulls eye in a game of archery at the fun-filled Red Ruby Ranch. 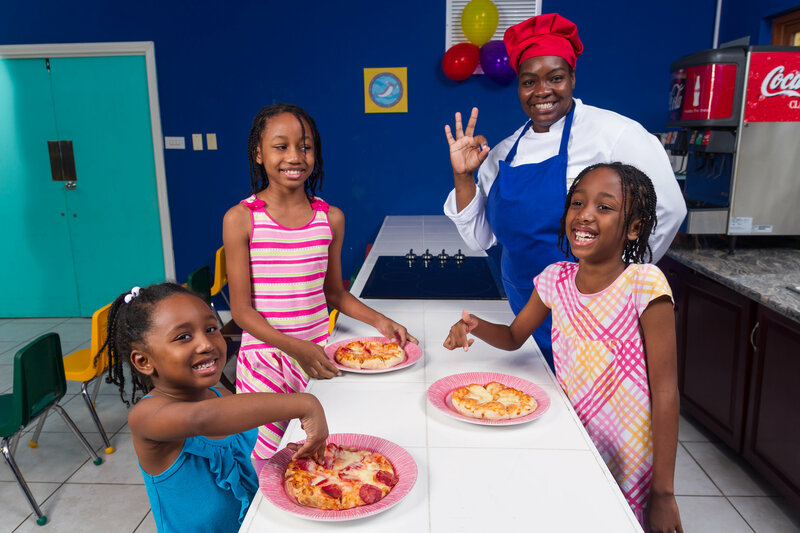 Nia-Ashley (10 years old) and her sisters, Zoe-Marie (8 years old) and Sarah-Rene (5 years old), continue to boast about making their very own scrumptious pizzas and the spacious accommodations which perfectly suited our unique family of 5! Our beautiful Plungepool Oceanfront one-bedroom butler-serviced suite provided a superb blend of relaxation and luxury, laid out to allow perfect proximity for the girls to Warren and me, while affording us grownups real privacy and intimacy, if you know what I mean. 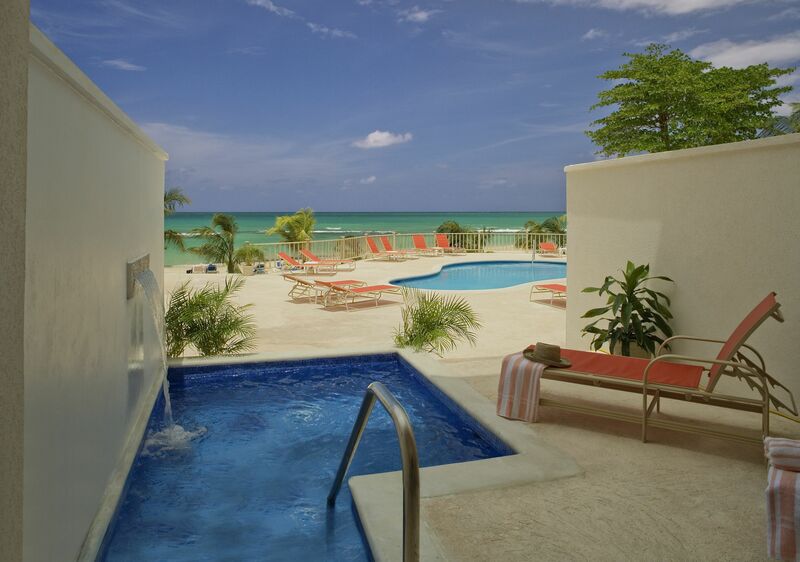 Plus the swim-up pool on our patio was simply the icing on the cake! 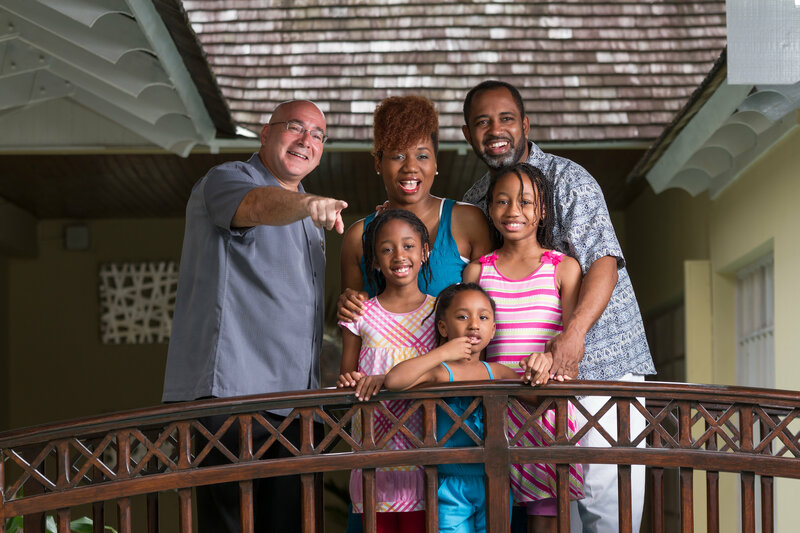 And so dear Family and Faith Magazine readers, it’s official – our family has found a Jewel that we will treasure for a long time to come and are looking forward to our next amazing stay at the ‘funtastic’ family-focused resort. 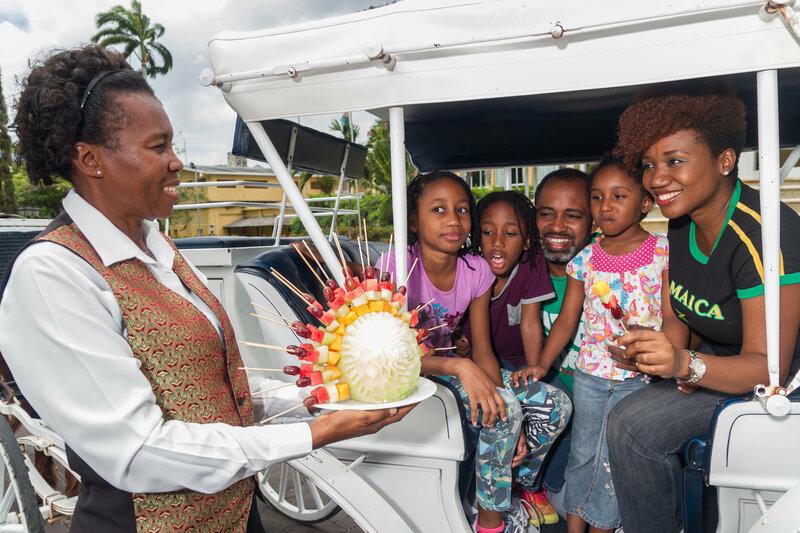 We wholeheartedly concur with the property being selected as one of the Top Hotels for Families in the Caribbean by TripAdvisor’s Travelers’ Choice Awards for Hotels in 2015. “We are not a resort that (simply) allows kids. 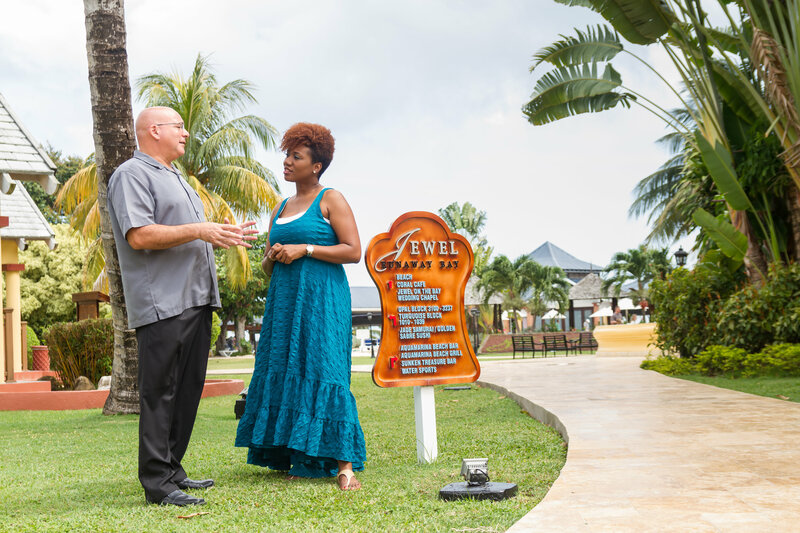 We are a family resort,” is the perspective that the affable general manager and industry veteran, Scott Robbins shared with Family and Faith Magazine. “We target the entire family and every age group. So when we do something, like our waterpark, we targeted every age that’s going to come in,” he delightfully explained. Hence the zero (age) entry pools for “the little babies that don’t even walk yet.” Toddlers can of course also enjoy those zero entry pools plus another area I call the ‘water playground’, designed with an array of bright colours and spurts of water all around. 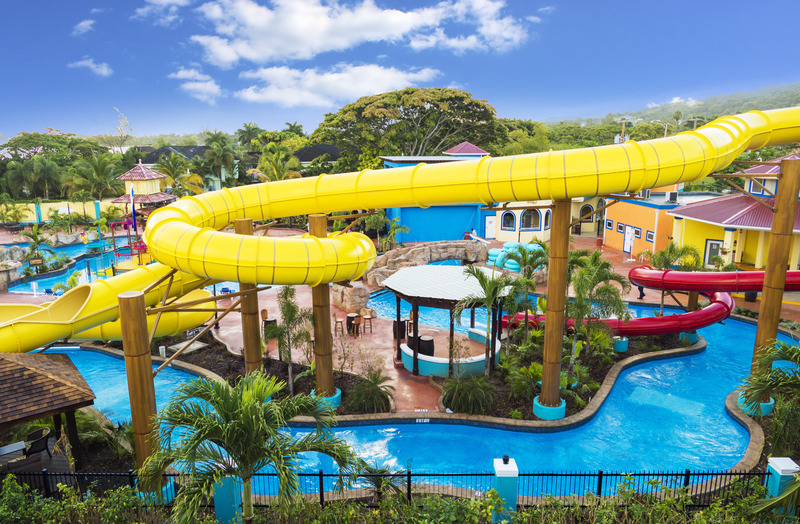 Then there are the exhilarating water slides of varying inclines that pack a super adrenalin punch. And after all that excitement there’s the lazy river that wraps around the waterpark and the comfortable cabanas for hanging out, having a drink or falling asleep. Archery and Laser Tag at the Red Ruby Ranch! The water park however was only one of our unforgettable experiences at Jewel Resort. 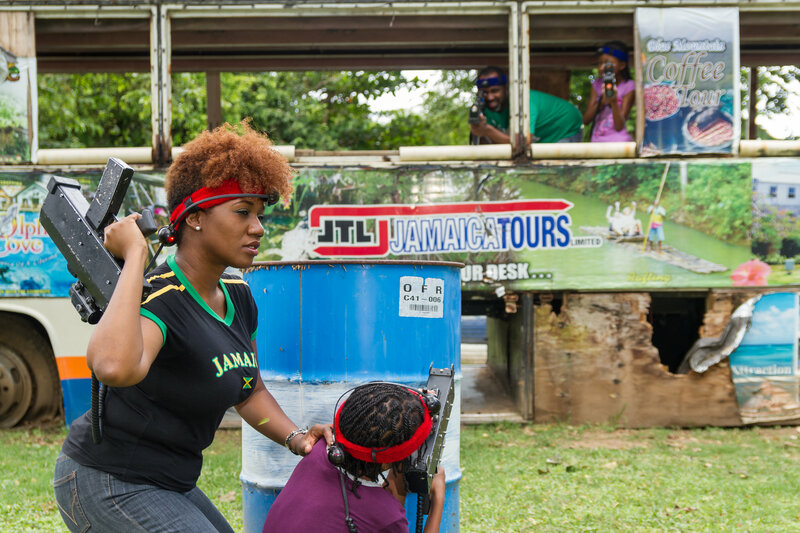 The laser tag and archery activities were great fun and encouraged healthy family competition at the Red Ruby Ranch – Daddy and Nia versus Mommy and Zoe! Given the height requirement for playing laser tag, Aunty Stacy-Ann took Sarah to pet the rabbits. Little kids can also lasso wooden horses and have a good time on the swings at the Ranch. Playing Dress-up, Painting and Making Pizza at Kids Camp! 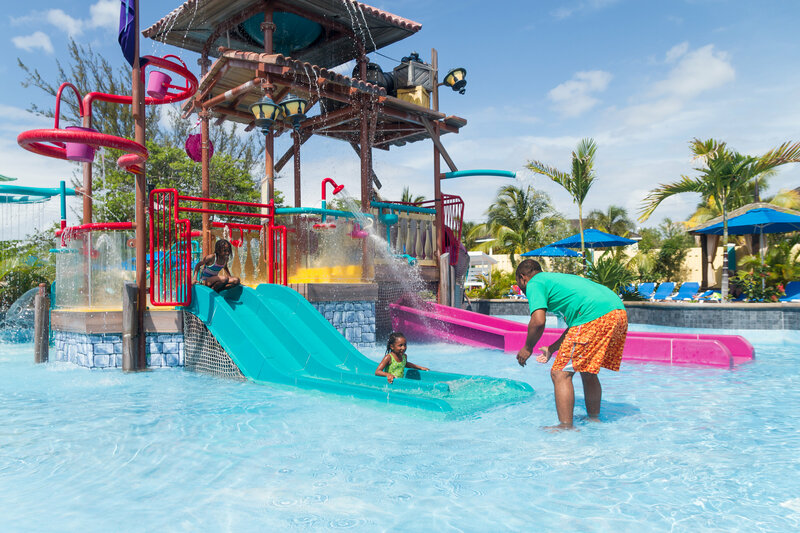 “When you talk to parents about vacations, there are some that say it’s not a vacation when you are travelling with kids, it’s a trip and it shouldn’t be that way, it should be a vacation, so there are things for the kids to do,” the resort general manager beamed. At Jewel, children have a vast array of fun activities to engage in and playful responsible caregivers to see about their care. 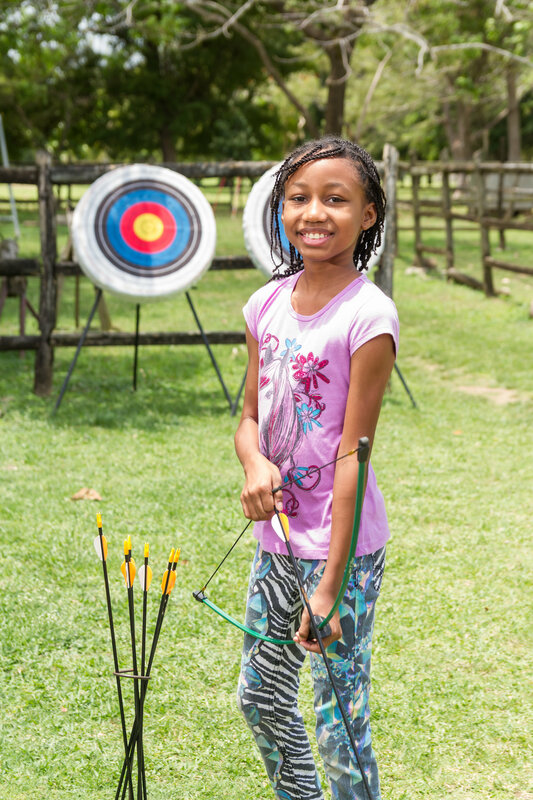 Aside from all the fun water and ranch activities, there is also pizza making, painting, playing dress up, playing with toys and of course watching a movie in the outdoors while toasting marshmallows! “When we designed the kids club and the programme we wanted that, and we wanted slumber parties and night time pizza parties where the kids go and they enjoy themselves at night or they have the kiddie disco where they go and dance, where it’s not just day stuff but it’s also the night time stuff,” Scott outlined. The kids are so contented that some parents have to be careful to schedule a time for the whole family to be together. “I have had several parents who would say to their kids, pick a meal time and that’s mandatory meal time that you have to spend with us, breakfast lunch or dinner,” Scott revealed. 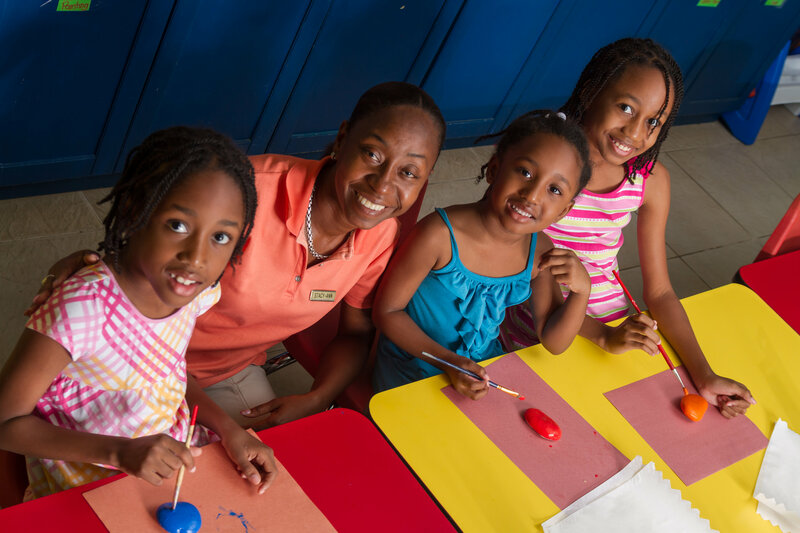 The Kids Camp is open to all children from 18 months to 12 years old from 9am to 5pm and 6:30pm to 9:30pm, so parents can have alone time for a full day. After that time they have the option of booking a friendly nanny. At the end of our stay, our family was refreshed, satiated, rested, happy but also little sad to leave. The hammocks, swings and abundance of lounge areas that characterize the lush relaxing property had charmed us into feeling like we found another home away from home. We also really enjoyed how hassle free everything was. As part of the vision for the design of the property, Scott explained that they decided to do away with some of the known annoyances that guests tend to have, such as having to wear wristbands and secure towel cards. Guests are instead wristband free and get to take as many beach towels as they desire without a card. 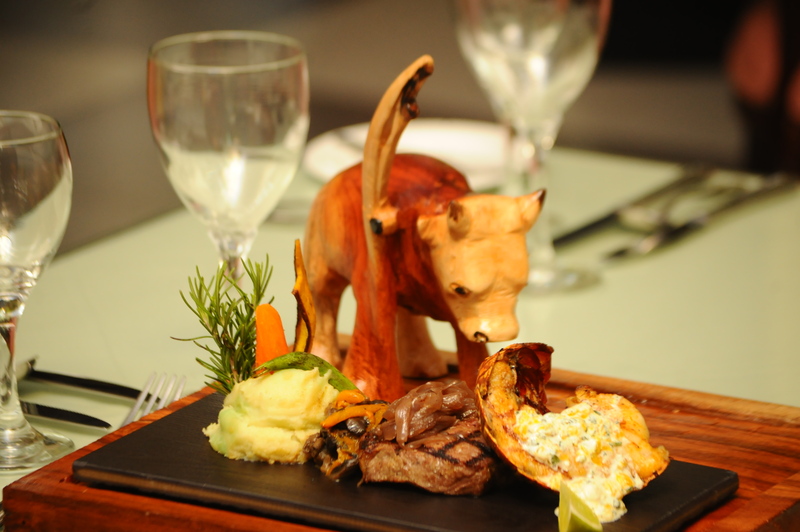 Incredibly, apart from the Japanese restaurant, guests also don’t need to make a reservation to dine at the resorts restaurants. 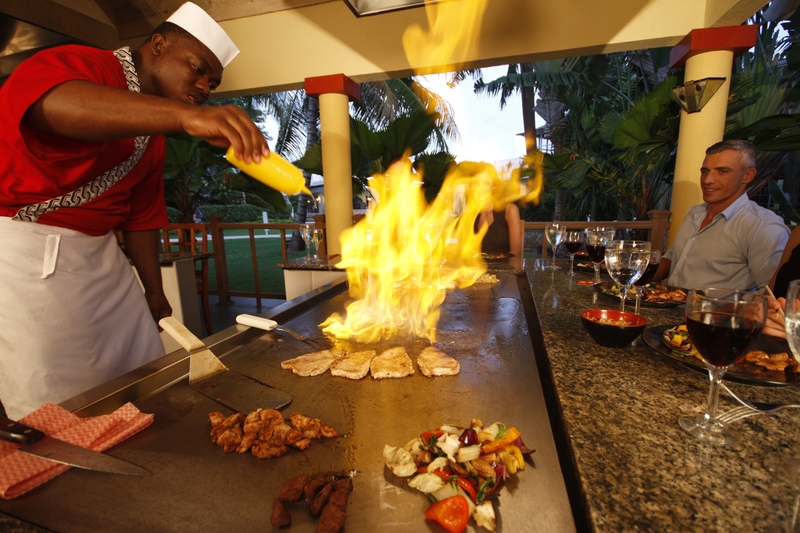 We had a culinary blast eating at the Platinum and Japanese restaurants and the buffet provided excellent wide-ranging selections every night. Of course the outdoor Italian styled pizzeria was my absolute favourite spot! 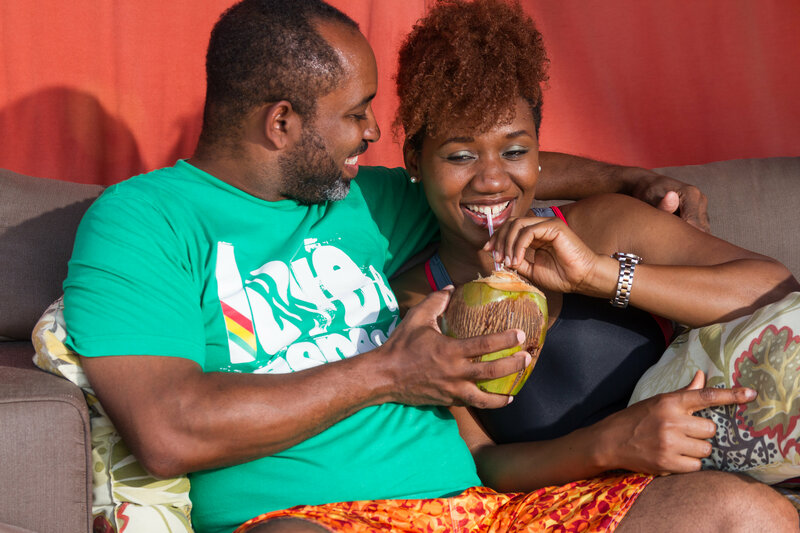 For more information on Jewel Resorts, email: salesrunawaybay@jewelresorts.com / reservationsrunawaybay@jewelresorts.com or call 876-633-4000.